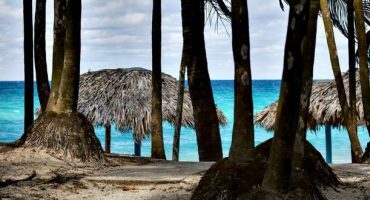 If you’re already scoping out a new destination where you can escape winter, just look south. And we mean really south. While it may be snowy and frigid at home, South Africa is gloriously sunny and is the perfect place for a bit of adventure. Here’s our list of the top 10 things to do in South Africa this winter. 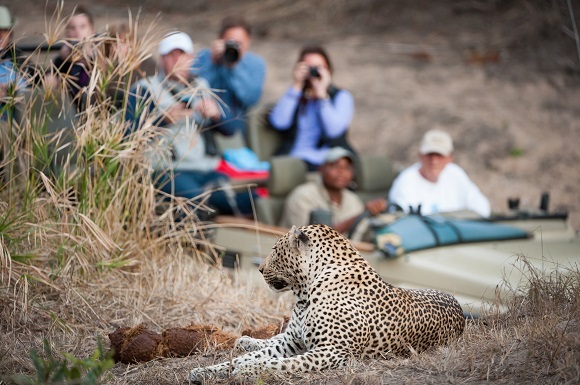 One of the great things about South Africa is that it caters to all types of travelers. Culture-addicts won’t be disappointed by what’s on offer in Cape Town and Johannesburg, while the foodies among us will love the wines and cuisine of the Western Cape. For adrenaline-seekers, dare we mention shark-diving, white-water rafting and that South Africa is home to the world’s highest bridge bungee? Whatever kind of traveler you are, if you’re thinking of heading to South Africa this winter, now is the time to research and book your flights to Cape Town or Johannesburg. 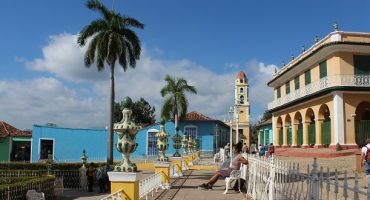 Both cities are well connected with flights from the US. Now that the logistics are sorted, it’s time to think about your itinerary. 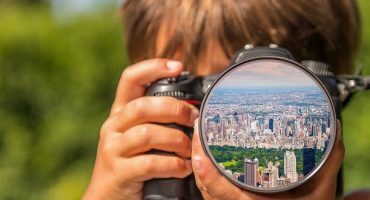 Here are just a few ideas to inspire your trip. It almost seems wrong to book a trip to Africa and not go on a safari. South Africa is home to some amazing wildlife and the country’s most famous game reserve, Kruger National Park, is a good place to start. It’s the largest and oldest reserve and you have a good chance of seeing all the Big Five: the African elephant, lion, leopard, Cape buffalo and rhino (black and white). It’s also the most popular, something to consider if you’re traveling in peak season. For an off-the-beaten-track safari experience, try Kgalagadi Transfrontier Park. We love to surf and South Africa’s 1,600 miles worth of coastline is a surfer’s paradise. Both the Atlantic and the Indian Ocean coastlines have great places to go surfing but the most famous spots are in and around Cape Town. The country’s surfing capital however is Jeffreys Bay, about 50 miles south of Port Elizabeth. Expect a laid-back vibe, plenty of beach-side bars and surf schools so you’ll definitely be in good hands if it’s your first time. This excursion certainly won’t be up everyone’s alley, but South Africa is known as one of the best places in the world to swim with great white sharks. 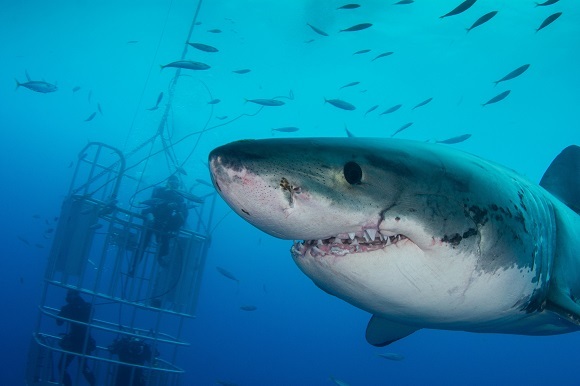 For cage-diving experiences, head to Gansbaai, Mossel Bay or Simonstown, where you can see great whites in their natural environment, while being protected inside a steel cage. For shark-diving without a cage, try going north to Aliwal Shoal where you can swim with tiger sharks, bull sharks and blacktip sharks. South Africa’s modern history is overshadowed by apartheid and there are two sites that are particularly important to visit if you want to know more about that horrific part of South Africa’s past. 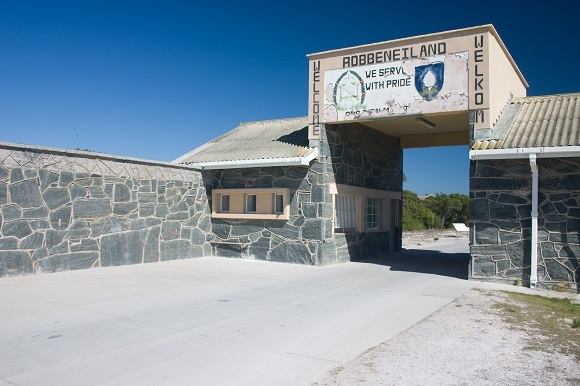 In Cape Town, Robben Island is the political prison where Nelson Mandela was jailed for 18 years. Also in CT, District Six is where non-whites were evicted after the racist Group Areas Act was passed in 1950. 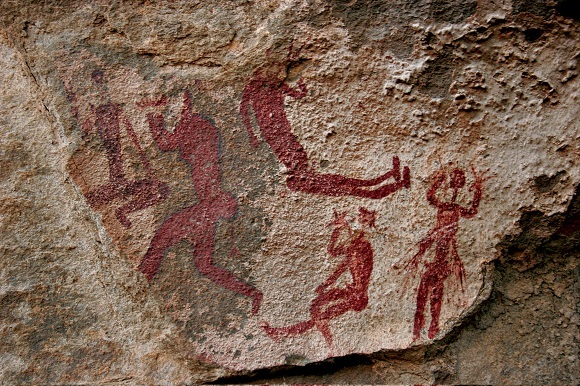 The Cradle of Humankind is one of South Africa’s most important UNESCO World Heritage Sites. It’s where fossils of humankind’s ancient ancestors were discovered. Ruins of the ancient kingdom of Mapungubwe are also here. Take a guided tour down into the Sterkfontein Caves, where scientists have found many hominid fossils that date back more than 4-million years. South Africa’s natural landscape will definitely leave an impression on you. Coastal hikes are one of the best ways to explore but the country’s interior is also stunning. The most popular routes include the Fanie Botha trail in Mpumalanga and the Rim of Africa route that takes you across the Western Cape Mountains. 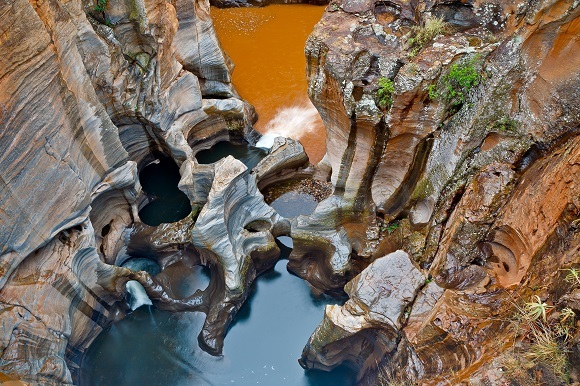 Pictured below are the Bourkes Luck Potholes in Mpumalanga…gorgeous right? 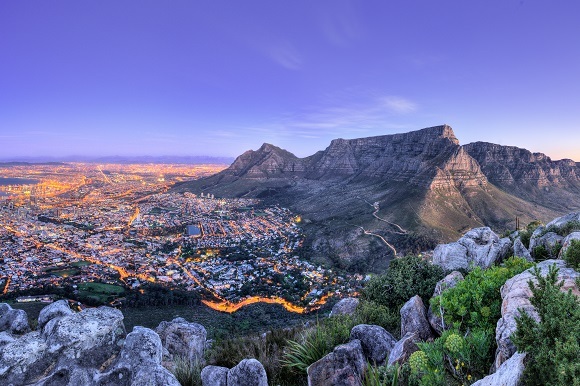 This flat-topped mountain is one of the most popular things to see when you’re in Cape Town and as expected, you get some pretty stunning views 3,500 feet above the city when you’re at the top. It’s so tall that the clouds usually sit just below the crest, creating a magical scene with fluffy white wisps above the city. If you’re particularly intrepid, you can hike all the way up to the top but most hop onto the cableway to make the journey. These friendly and curious little creatures can be found at Boulders Beach, just a short drive from downtown Cape Town. This beautiful water-front spot was claimed by a colony of penguins in the 1980s and it was so nice they decided to stay! 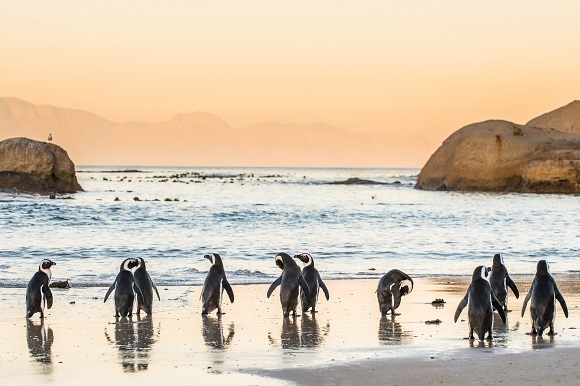 Now, Boulders Beach is a penguin sanctuary and a fun place to visit if you want to get up close to them. 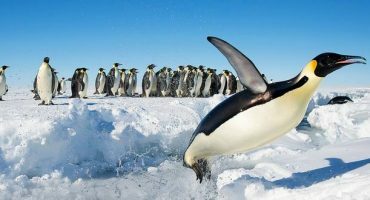 Just don’t feed them, you do not want to be visiting a local hospital for penguin bites! 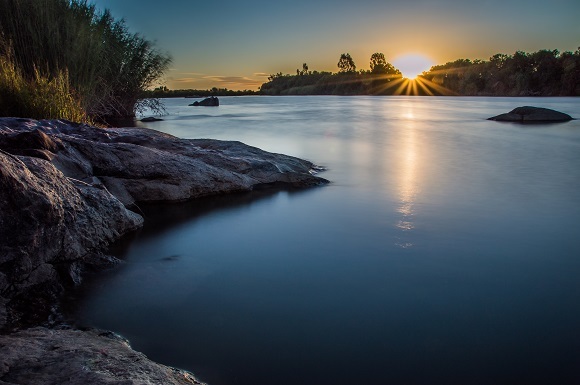 The Orange River is the longest river in South Africa and is located along the border of Namibia. If you’re after some white-water rafting or kayaking, this is certainly a good place to go. While thrill-seekers will head straight for Augrabies Falls where Class V rapids await, there’s plenty of easier paddling for novices too. A guided tour is the perfect way to experience this part of SA. Johannesburg’s “South Western Townships,” called Soweto for short, is a sprawling, cultural district that should not be missed when you’re visiting South Africa. 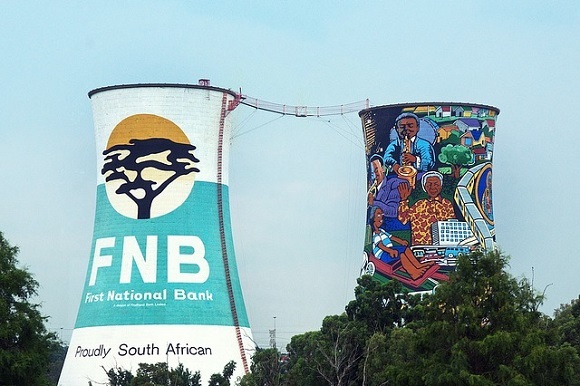 You can visit Nelson Mandela’s childhood home (now a museum), check out the amazing art on the Orlando Power Station Cooling Towers and visit Kliptown, the oldest settlement in Jo’burg to accommodate all races. It’s where the Freedom Charter was adopted in 1955.